350 pages | 9 B/W Illus. The discourse and practice of science are deeply connected to explicit and implicit narratives of nature. However, nature has been understood in diverse ways by cultures across the world. Could these different views of nature generate the possibility of alternate views on science? 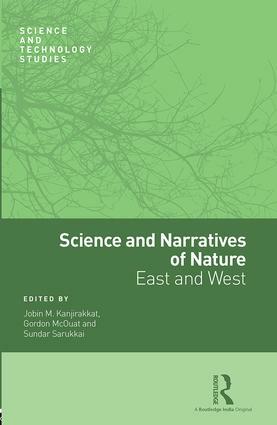 Part of the innovative series Science and Technology Studies, this volume looks at different conceptualizations of nature and the manner in which they structure the practice of the sciences. The essays draw upon philosophy, history, sociology, religion, feminism, mathematics and cultural studies, and establish a dialogue between cultures through a multi-disciplinary exploration of science. With contributions from major scholars in the field, this volume will deeply interest scholars and students of science and technology studies; sociology, history and philosophy of science; as also environmental studies. Jobin M. Kanjirakkat is Research Associate in the Department of Philosophy at the University of Hyderabad, India. Gordon McOuat is Professor of Humanities at University of King’s College, Halifax, Canada, and Director of Situating Science, Canadian Strategic Knowledge Cluster for the Humanities and Social Studies. Sundar Sarukkai is Professor and Director at the Manipal Centre for Philosophy and Humanities, Manipal University, Manipal, India. There is little doubt that science and technology are the most influential agents of global circulation of cultures. Science & Technology Studies (STS) is a well-established discipline that has for some time challenged simplistic understanding of science and technology (S&T) by drawing on perspectives from history, philosophy and sociology. However, an asymmetry between ‘western’ and ‘eastern’ cultures continues, not only in the production of new S&T but also in their analysis. At the same time, these cultures which have little contribution to the understanding of S&T are also becoming their dominant consumers. More importantly, S&T are themselves getting modified through the interaction with the historical, cultural and philosophical worldviews of the non-western cultures and this is creating new spaces for the interpretation and application of S&T. This series aims to take into account these perspectives and set right this global imbalance by promoting monographs and edited volumes which analyse S&T from multicultural and comparative perspectives.